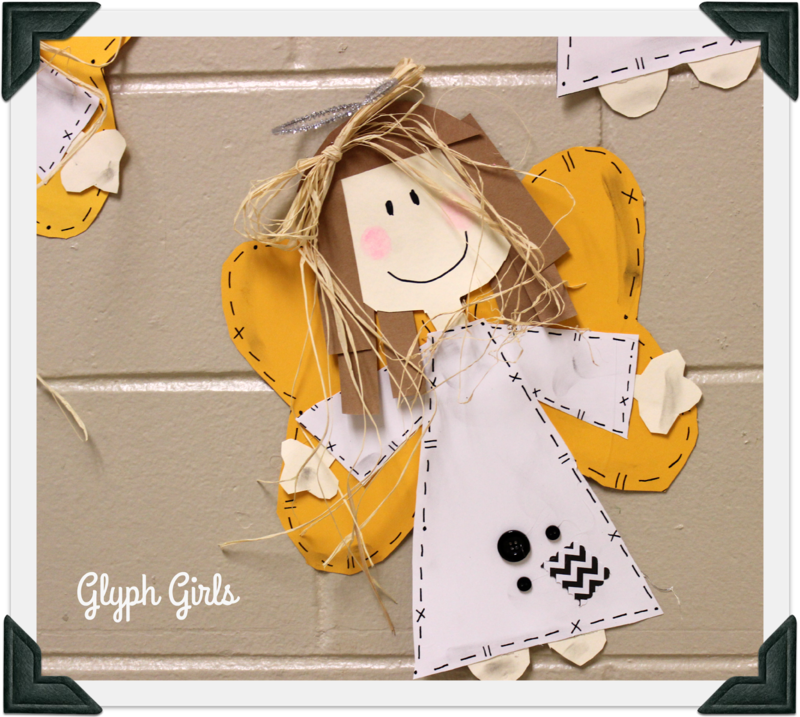 The Glyph Girls spent last Friday afternoon in our friend Priscilla Garrison's kindergarten classroom. We are not in the classroom every day this year, so this was a wonderful "Kid-Fix" for both of us! 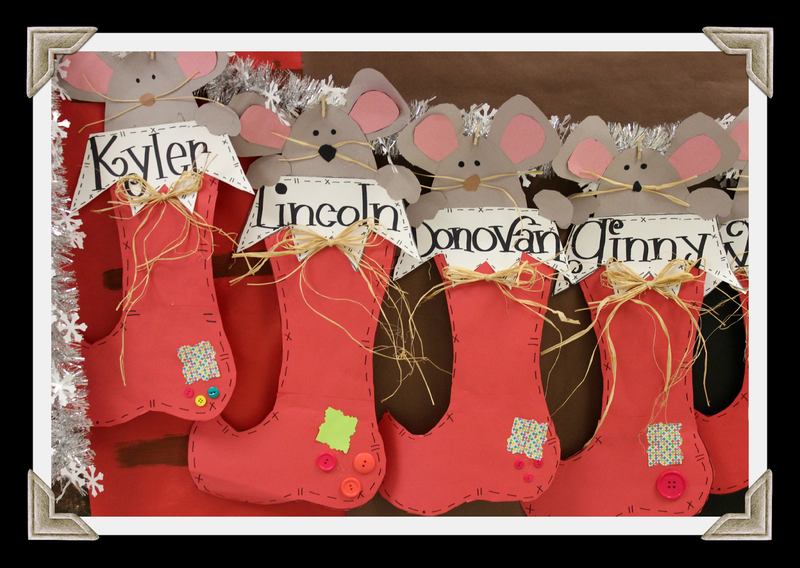 Mrs. Garrison's Kinders greeted us with Glyph Girl Stockings decorating their hallway!! If you are interested in the Stocking Glyph you can click on the photo below to go to our TpT store. 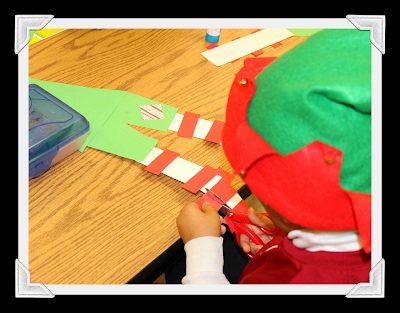 It is an excellent extension after reading The Night Before Christmas. 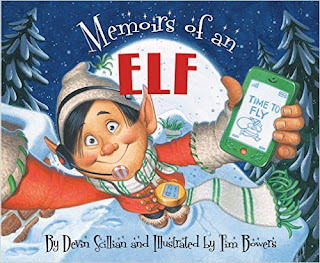 Memoirs of an Elf, by Devin Scillian. 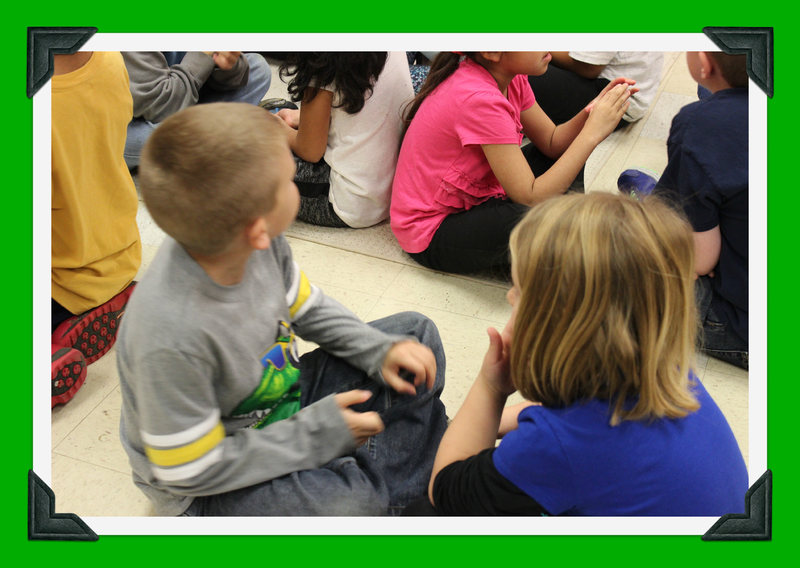 It has some great opportunity for discussion and vocabulary development. And yes, it was written by the same author as Memoirs of a Goldfish! 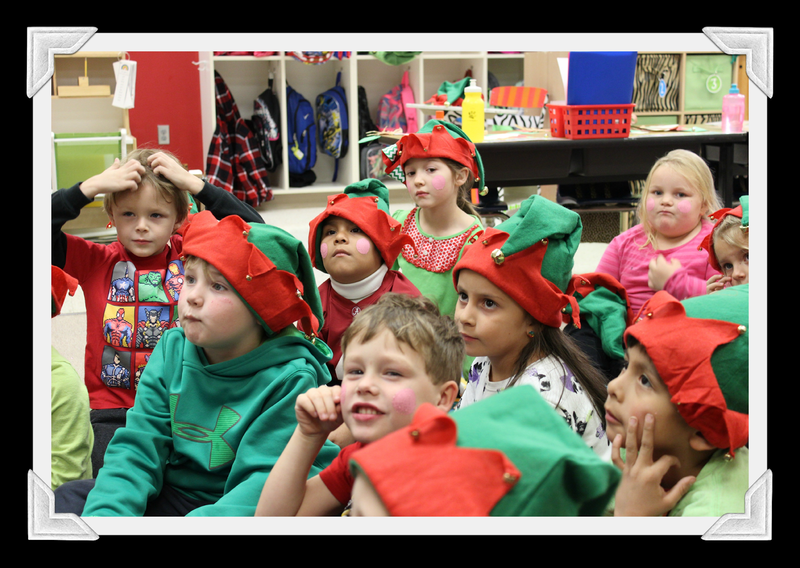 We had to let each student take an "Elfie" after reading this book! 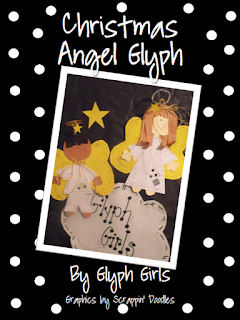 Next it was time for our Glyph Survey. 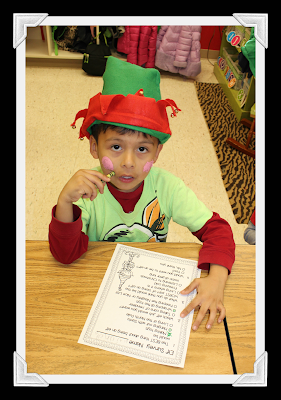 Our little elves were very attentive as we read the survey questions. We had the glyph pieces pre-cut this time, because of time constraints. 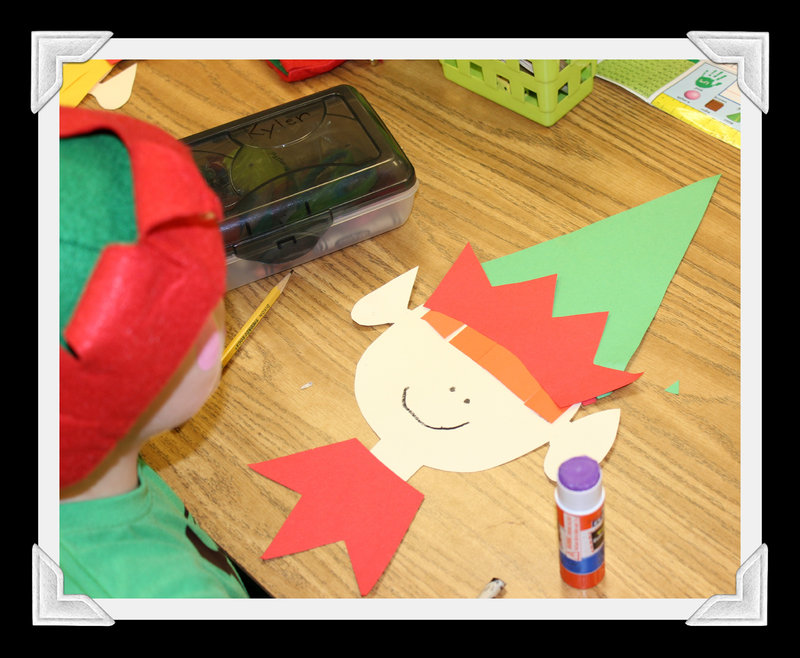 Normally, we would let our kinders cut all the pieces themselves. We usually cut on one day and then assemble the next day. 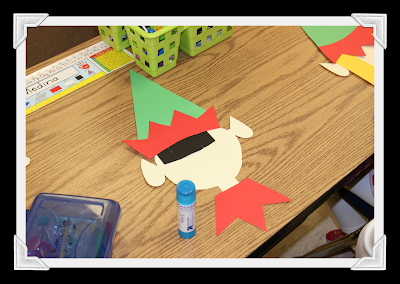 We started with the head, adding hair, ears, collar, and hat. We suggest having black, brown, yellow, and orange 1 inch strips cut on your paper cutter ready for them to use for hair. Then they just trim it if they have bangs or short hair. We taught the girls how to curl their hair around a pencil! They always turn out so unique! Then we had them put the heads inside their desk out of the way and started to work on the body, arms, legs, and shoes. We taught the students the easy way to make the stripes on the legs. 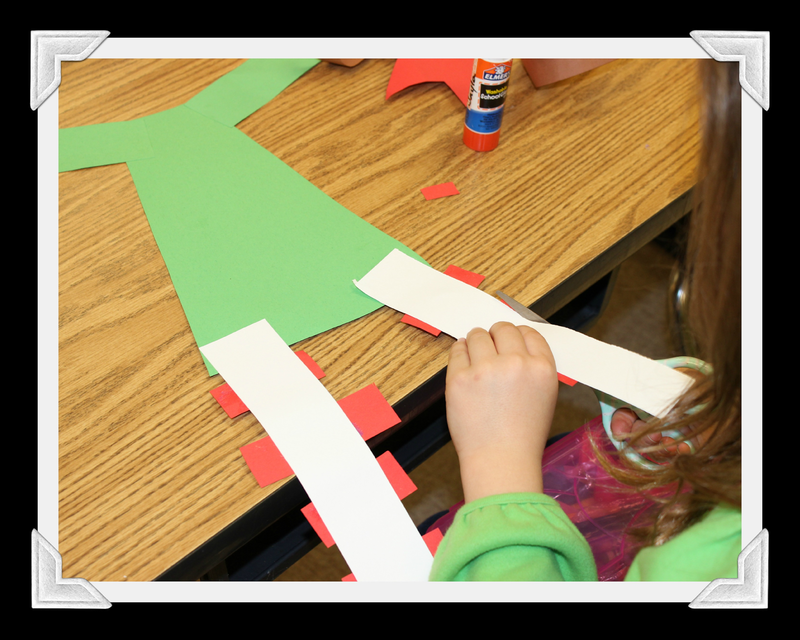 We had cut the stripes (1" x 2") so they overlapped the legs on each side when they glued them down. 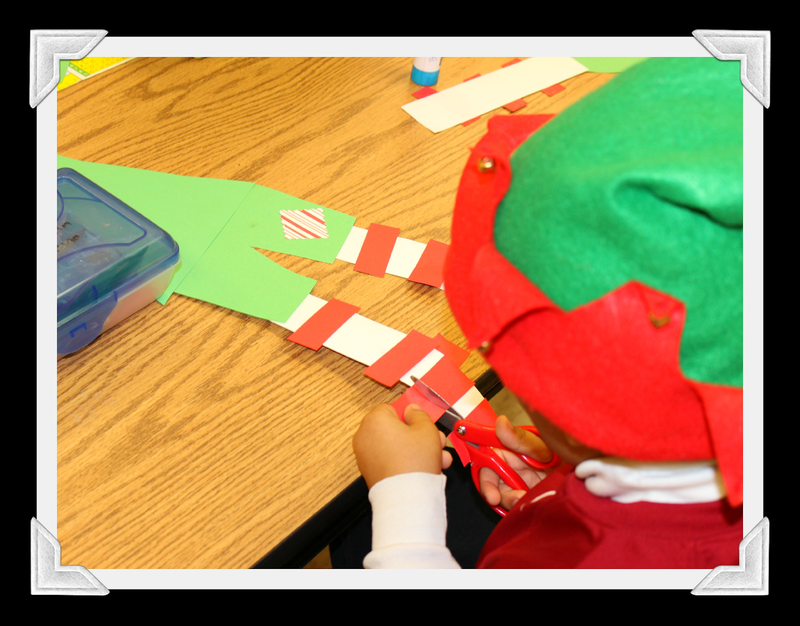 Then we showed the students how to turn their elf over and trim away the excess of the stripes. 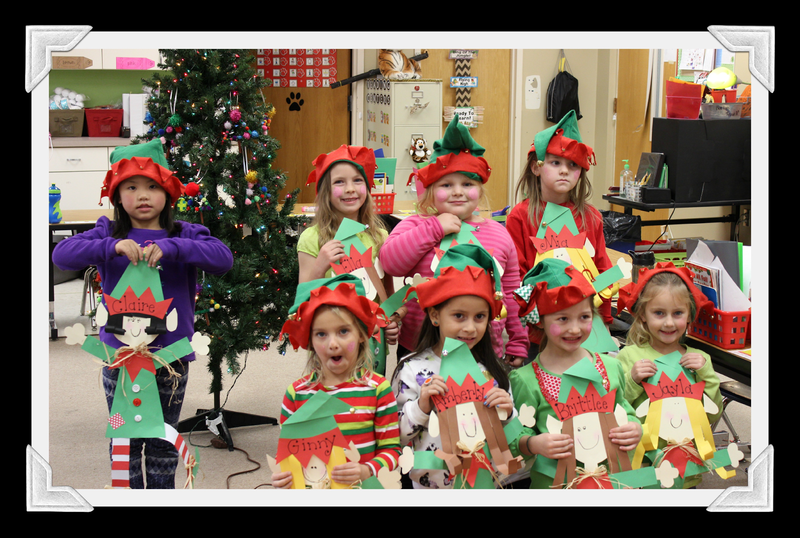 They did this themselves and they turned out great! 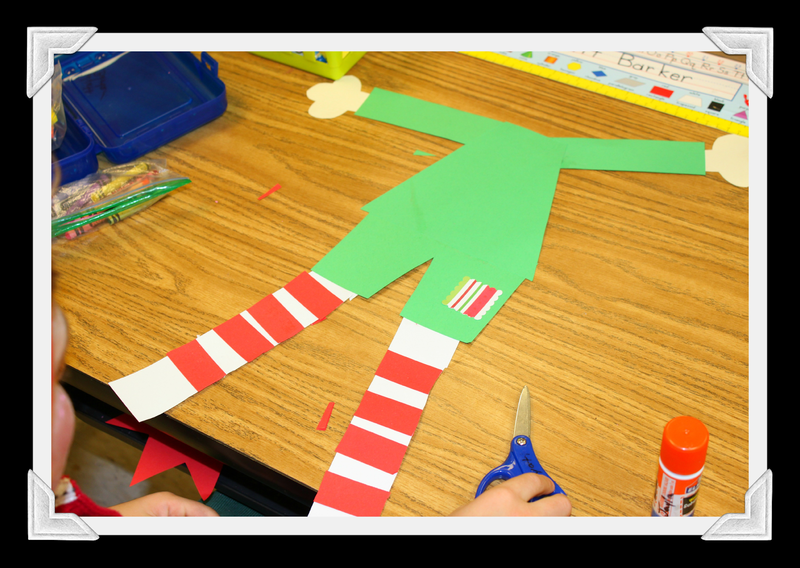 After the kinders glued on the hands and shoes, they pulled the head back out and glued it on top. 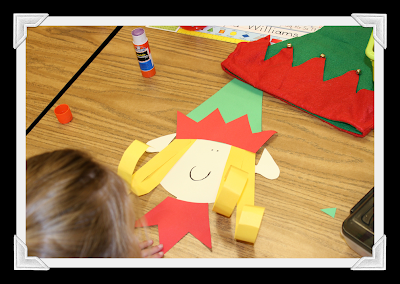 Please Note: These elves turn out really large which makes them extra cute! However, if you don't have much space you can always shrink the patterns some on your copier. 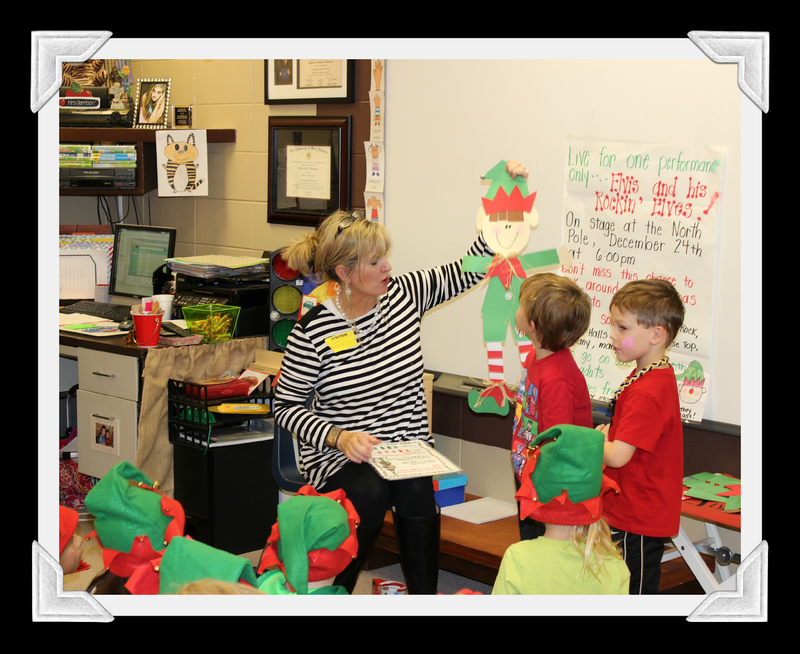 Then Angela pulled them to the carpet to share a Functional Text lesson with them while Mrs. Garrison and I hot glued the buttons and raffia bows on the elves. Angela then discussed the data by using some volunteers to share their elves. 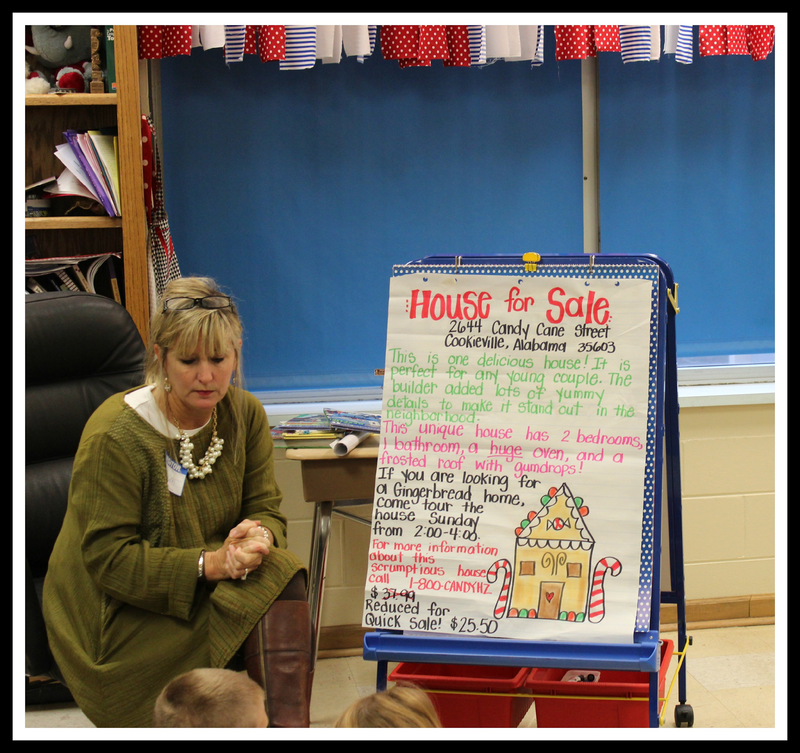 We also left graphing sheets for Mrs. Garrison to do with them later. 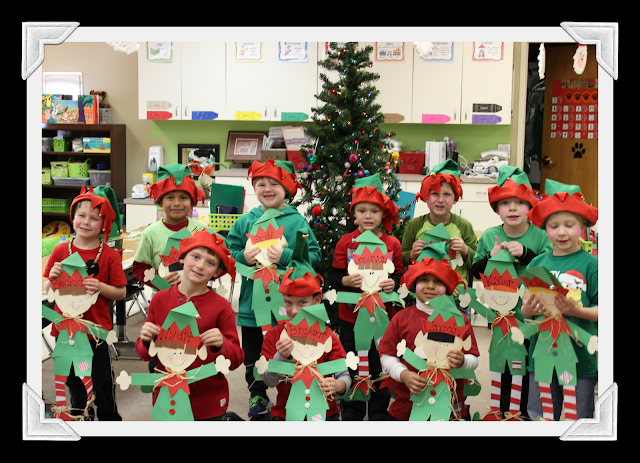 was super proud of their finished elves. Don't you think their elves look JUST like them?!? 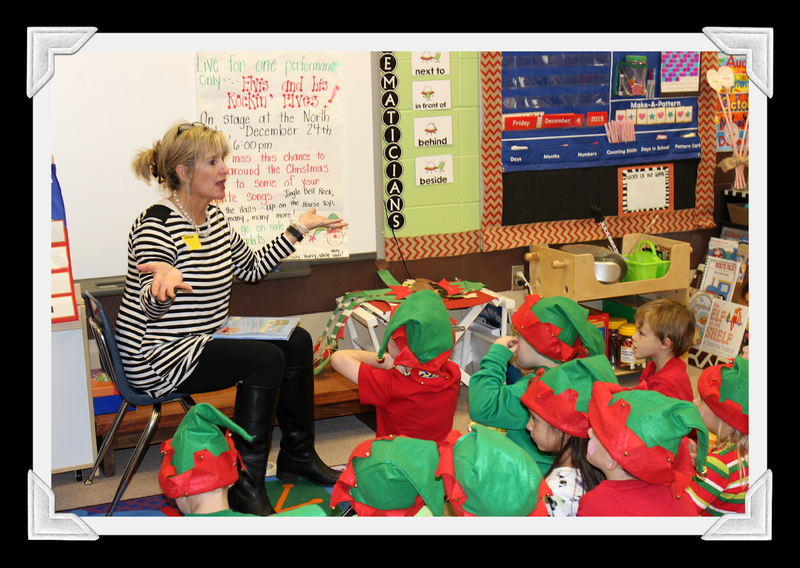 We so appreciate Mrs. Garrison sharing her sweet kiddos with us! They are smart cookies! If you would like to check out our Elf Glyph, just click on the photo below. The Glyph Girls had a most wonderful afternoon with Mrs. Davidson's class of Second Graders last Tuesday! 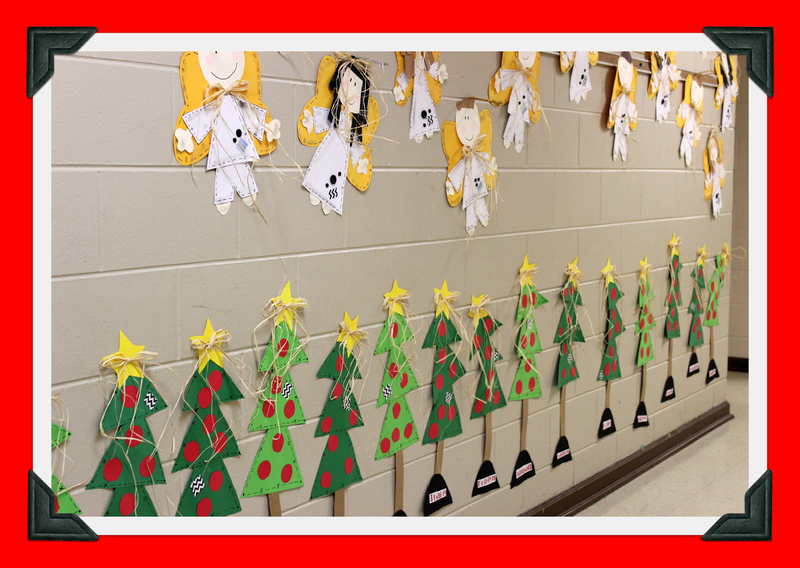 They had been busy even before we arrived ,and had the hallway all decorated with our Angels and Christmas Trees!! 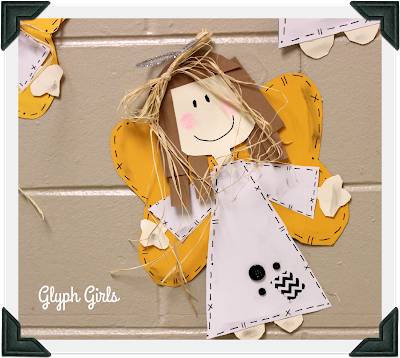 Each angel is made with the hair color of the student making it. This will be a precious keepsake for their parents! The Christmas trees always turn out unique and different. 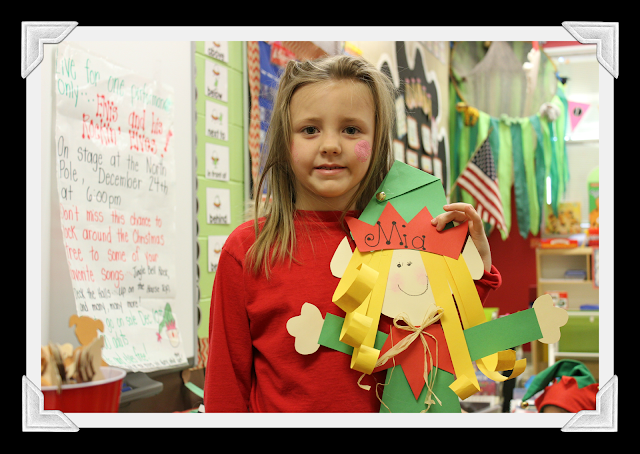 Each child's personality shines through! Click on the photos below if you are interested in purchasing the Christmas Tree or Angel Glyph. The first thing we shared was the featured text. 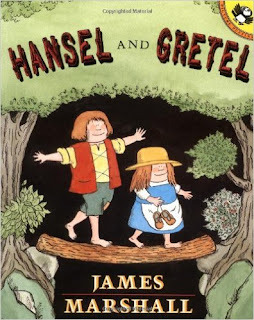 Angela did an interactive Read Aloud of Hansel and Gretel by James Marshall. 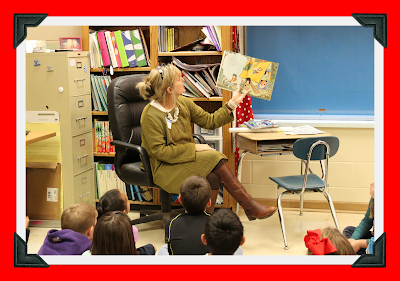 Mrs. Davidson's students are experts at Turn and Talk techniques. Angela used the call back, "Ho, Ho, Ho!" 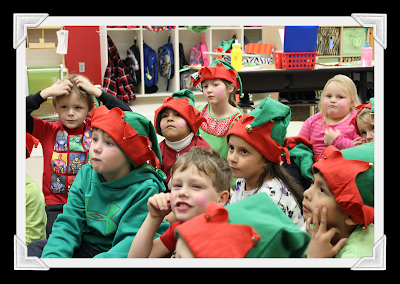 and the students said, "We're ready to go!" when it was time to turn back to the teacher. There was tons of conversation about this classic fairy tale. Next, we made our Gingerbread Houses that will be a book to hold the student's writing about Hansel and Gretel. 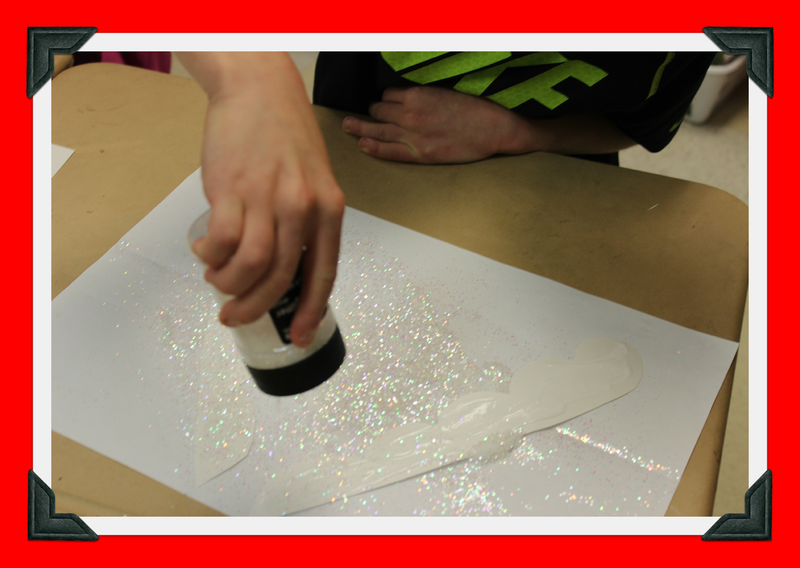 The first step was to cut out all of the "icing," sprinkle it with white glitter, and set it aside to dry. Next, the students cut out the house and chimney and glued the pieces together. After that they added the door and heart window. 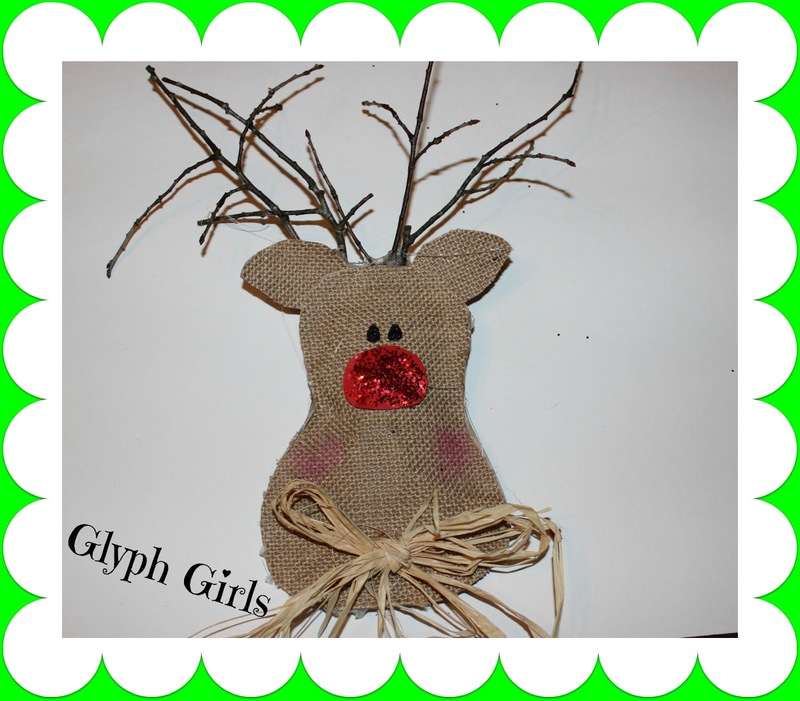 Both of these needed some glitter also! to go on each side of the house. Projects were set aside to dry. 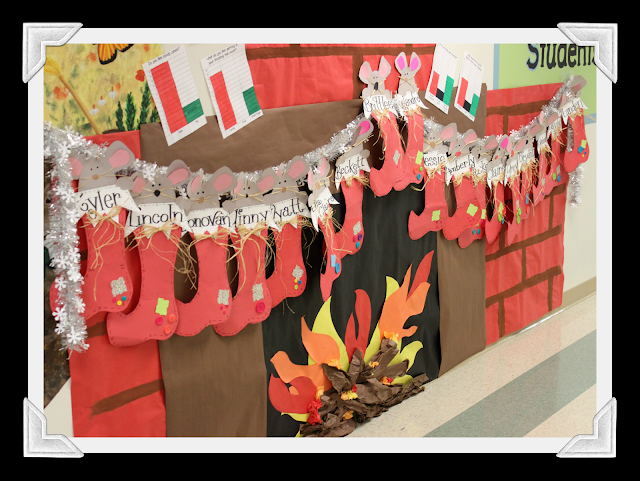 and the students' fabulous writing! Angela also did the Functional Text lesson that comes with the Gingerbread House. 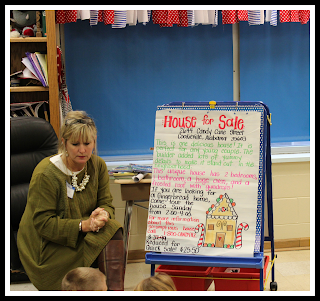 Students were highly engaged as they discussed different aspects of the text. 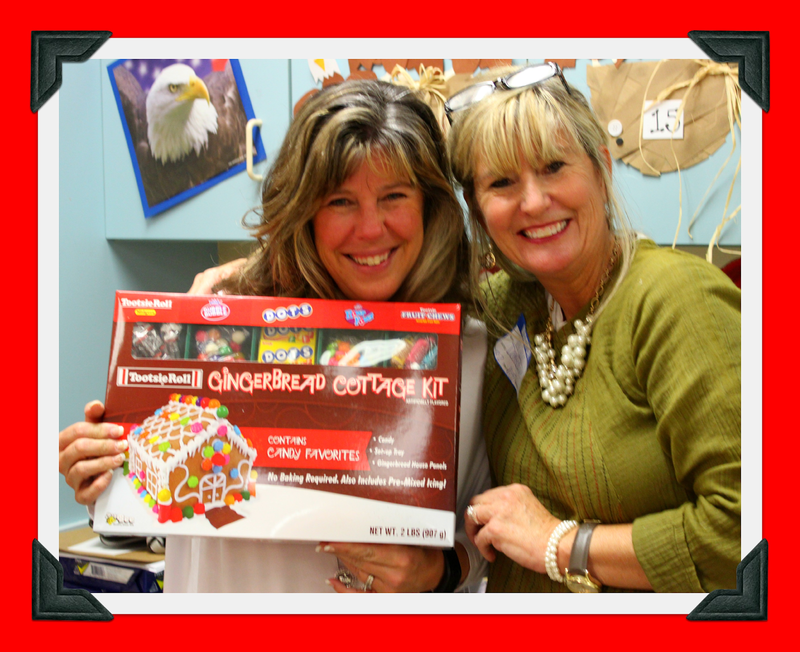 Finally, Mrs. Davidson was presented with a real Gingerbread House to make with her students on Friday! Can you tell how thrilled she is?!?! 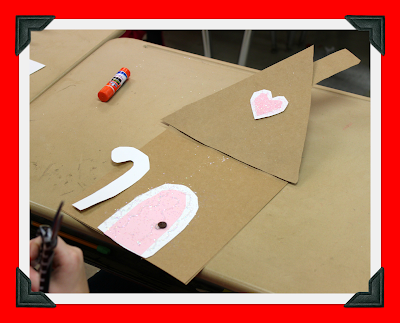 Don't we all love to make large Gingerbread Houses with 20 plus students helping us? Sorry, Robin, we couldn't resist! They need to build their schema!! 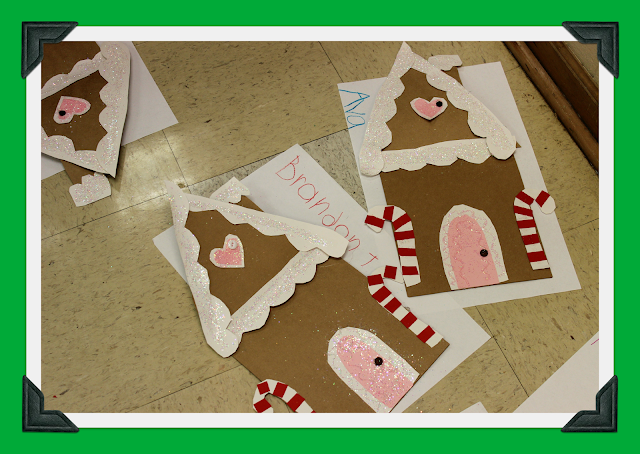 We loved every minute we got to spend with this classroom of sweeties! 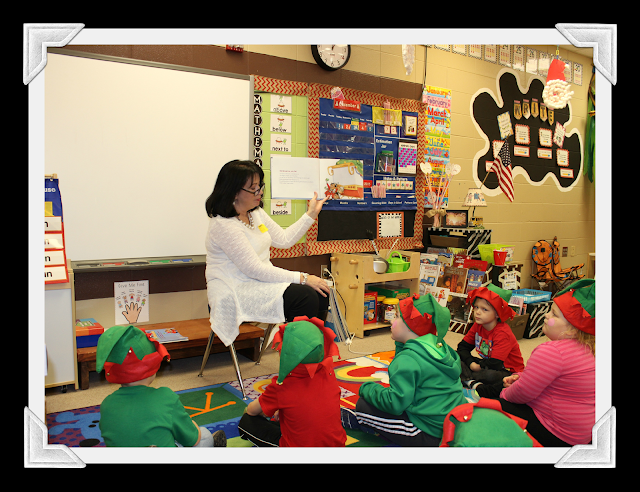 Thank you, Mrs. Davidson! 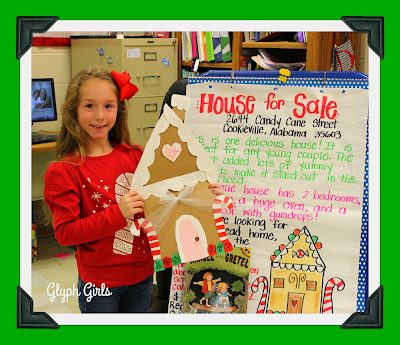 If you are interested in the Gingerbread House, you can click on the photo below. 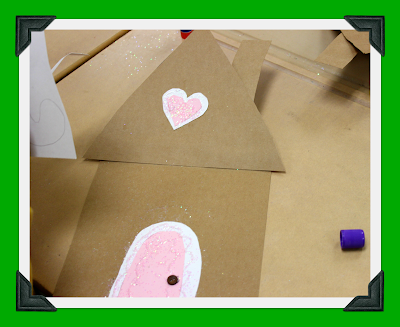 It includes writing templates to use with either Hansel and Gretel or The Gingerbread Man. 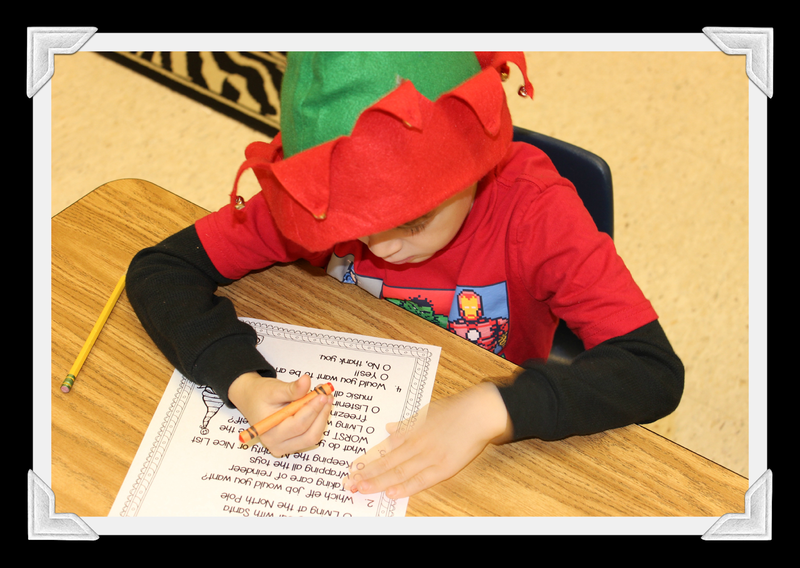 It also has a detailed lesson plan for the Functional Text lesson. 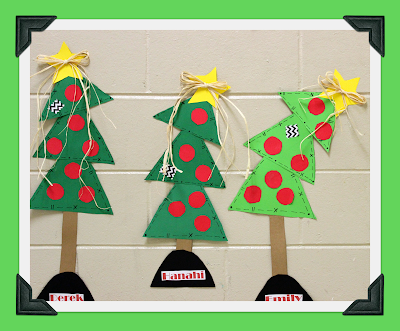 I LOVE putting up the Christmas tree and seeing all the cute ornaments that my two boys made when they were in school! Brings back sweet memories. Here is an ornament that I have made with my class the last few years. 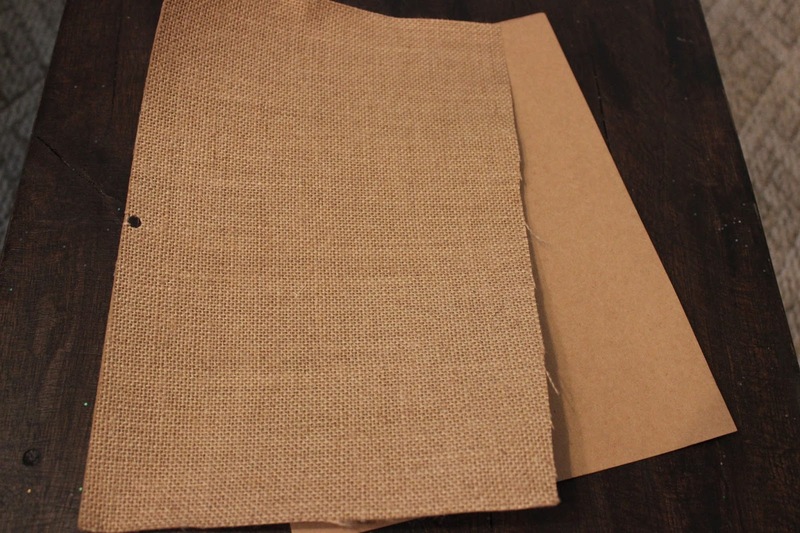 I use burlap scrapbook paper and just plain brown craft paper for the back. 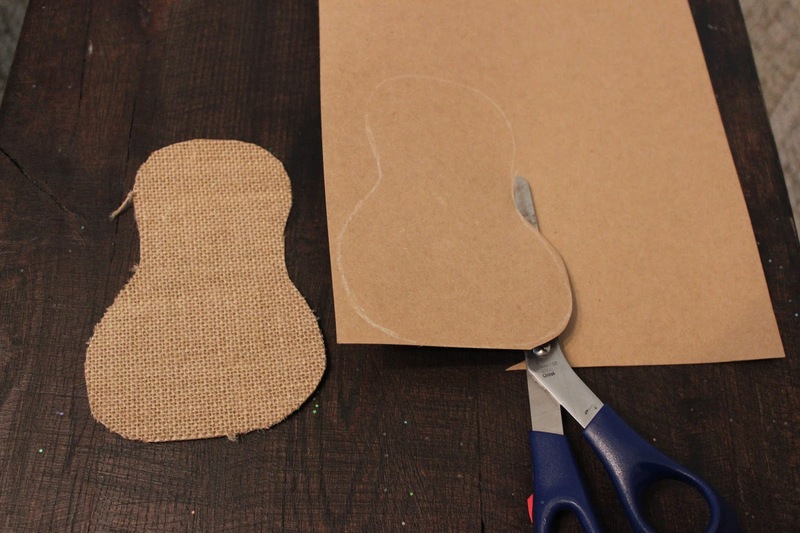 The burlap paper is much easier for the kids to cut. I made these last year with kindergarten! 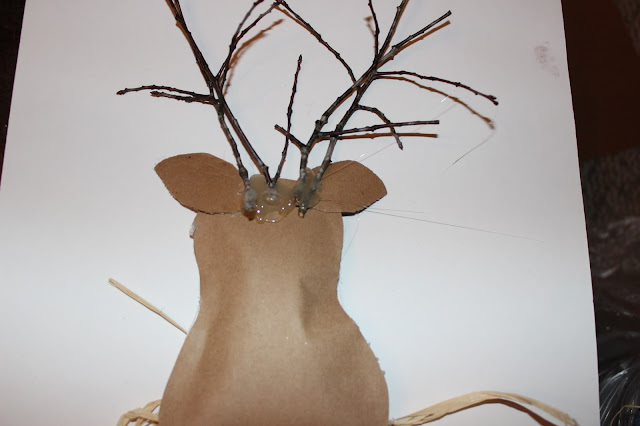 Trace the shape of the reindeer's head on the back of the burlap paper and on the brown craft paper. 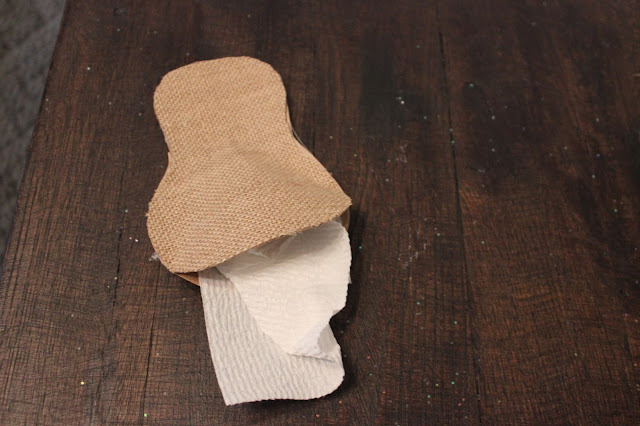 Using the opening left at the bottom- stuff it with tissue or paper towel. I used one paper towel for this one. 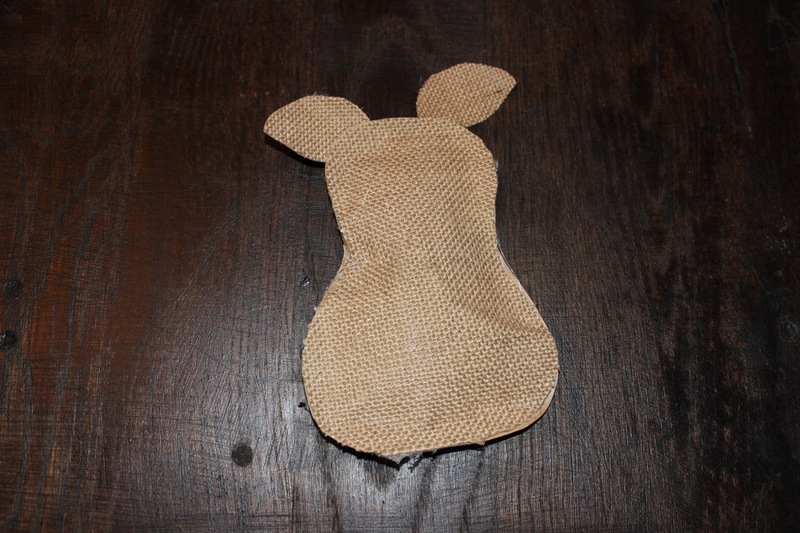 Glue the bottom shut and add burlap paper ears to the back! 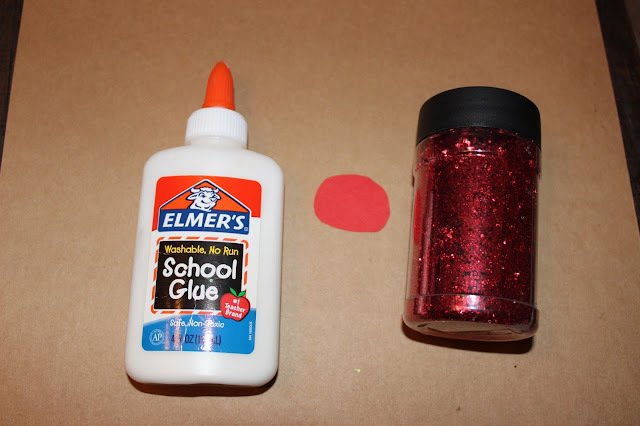 Use red construction paper and glitter for the nose- or you can use glitter scrapbook or foam paper. 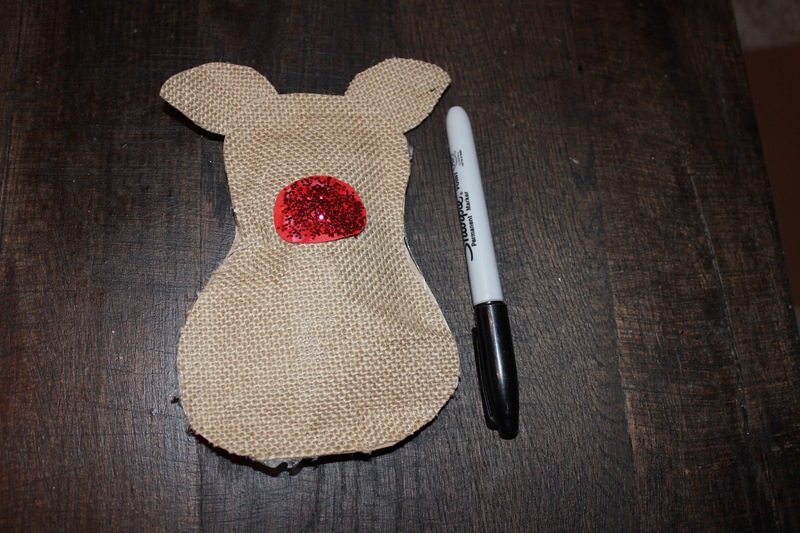 Use a Sharpie or slick paint to make the eyes. 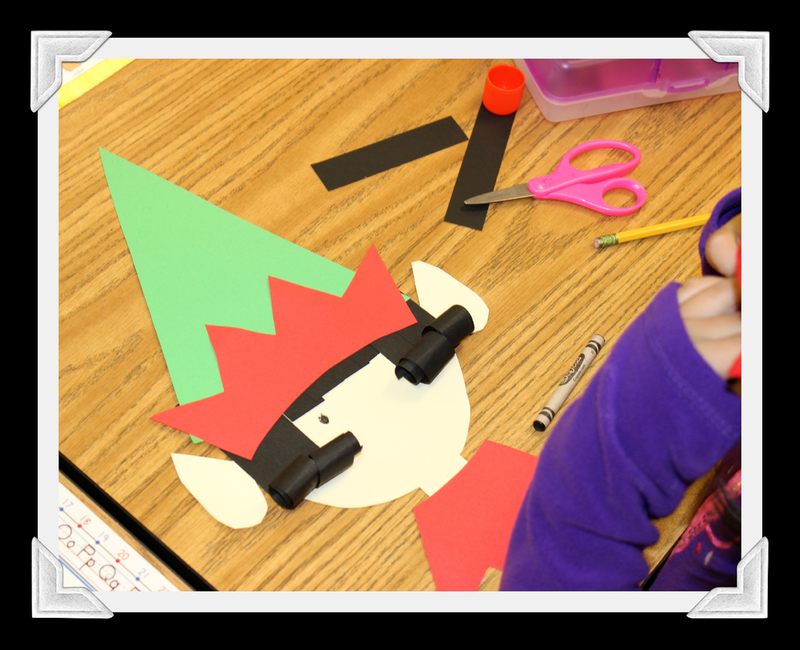 I always make them put the eyes close together and close to the nose... you can use google eyes or little black buttons, too!! Nest students use a little chalk to add cheeks. They use their fingers to get the chalk off the paper and rub it in. A raffia bow is a must!!! For antlers, this time I just cut some twigs off a tree, but I have bought branches from Hobby Lobby before, too. 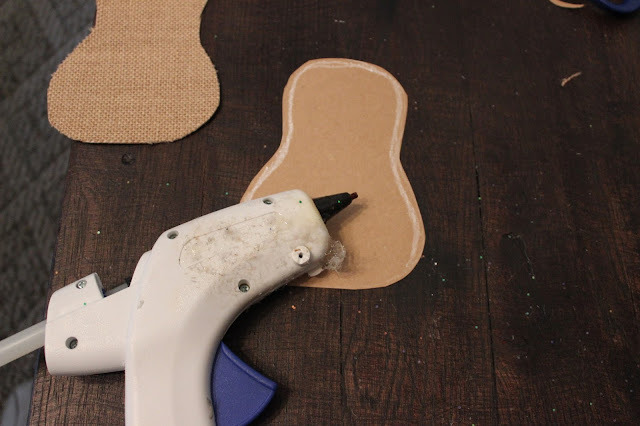 I hot glue it to the back. 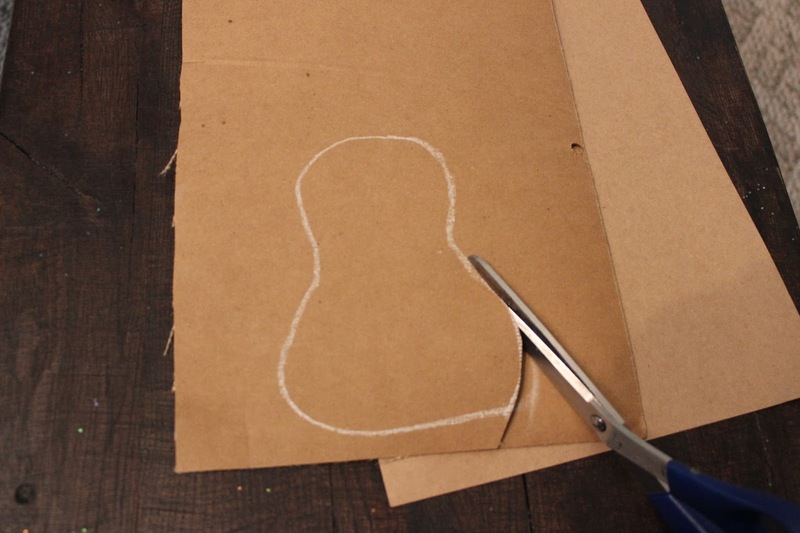 I usually put a piece of matching paper over the glue while it is hot to secure it. 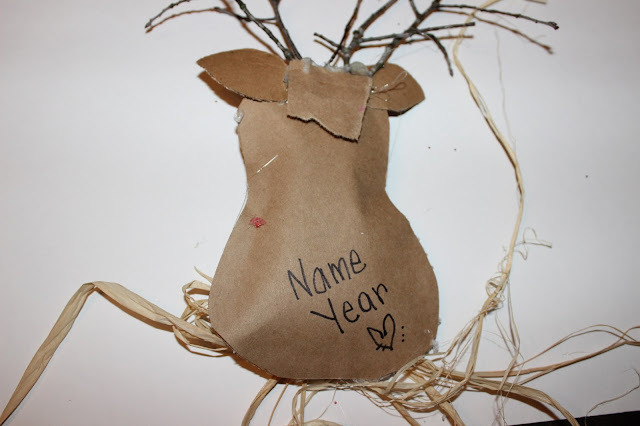 Add a hook and don't forget to put the name and year on the ornament. 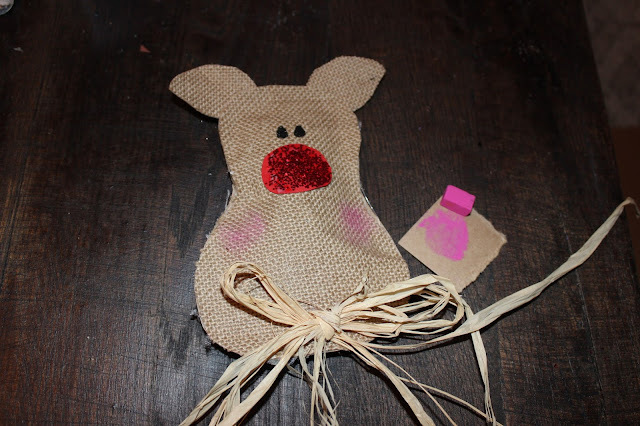 You can make bigger versions of these to and use wire on the back for a door hanger.